The Yatra SMART choice property comes with a promise of 8 assured amenities, money-back guarantee and priority helpline support. 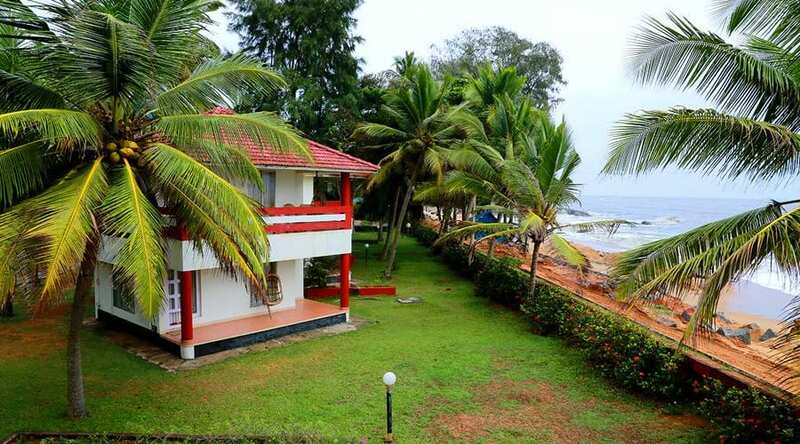 You also get free cancellation and standardized prices through the year.Set in Calicut, 0.1 km from Sree Orupottumkaavu Baghavathy Temple, Renai Kappad Beach Resort offers internet facility to its guests. This Calicut property is accessible from Chemancheri Bus Stop which is 3 km away.It comprises of 16 spacious and well-kept room. Each room has amenities like a work desk, tea/coffee maker, reading lamp, air-conditioner and premium bedding. It also has a bathroom with running water facility.Renai Kappad Beach Resort features a conference room, business center, restaurant and swimming pool within the premises. Room service, laundry and transportation service are also offered.This hotel in Calicut is 8 km away from City Stand Bus Stand, 2 km from Chemancheri Railway Station and 44 km away from Calicut International Airport (CCJ). Some of the tourist attractions are Shri Kanjilassery Siva Temple (4 km), Poilkave Durgadevi Temple (3 km) and Pookad Kalalayam (3 km). Each of these rooms face the sea, and are named after Portuguese explorers. The upper rooms have a balcony and cane chairs. Each room is furnished with a double bed, a writing desk, couple of chairs, and a coffee table. It is also well-equipped with modern amenities, such as a telephone and a TV. Room service is available. Each of these rooms face the beach, and are named after Portuguese explorers. The upper rooms have a balcony and cane chairs. Each room is furnished with a double bed, a writing desk, couple of chairs, and a coffee table. It is also well-equipped with modern amenities, such as a telephone and a TV. Room service is available. Reason For Rating : Basis on cost hotel room ambience also to be changed.it is just ok level.breakfast also with few varieties! What needs to improve : Water in pool. What's Good: Nothing much, may be the location. What needs to improve : Lot of things. Reason For Rating : First of all, the room was overpriced, but keeping only local lodge standard. Dont trust the website pictures. Room was smelly and not good too...we changed our room due to bad odour.... The changed room was also not comfortable. Since it was heavy raining and late check in, we do not had any other option. Bed was also not comfy, our sleep was completely disturbed. Property has an attached BAR, even liquors were supplying in the restaurant which looks awkard especially for families. This property is beat for Bachelors... Service staffs were good. Dont expect a variety breakfast, it was just a normal Indian Breakfast with limited menu. Overall, we were completely dissappointed. What's Good: Very well maintained property with clean rooms. Swimming pool is excellent. Location is great, just opposite to Kappad beach. Calicut Airport to too far. What needs to improve : The breakfast offered in restaurent with limited choice. No buffet. The staff are not good at service. They don't expalin what is available for the day unless you ask them frequently. The food is very expensive. Not all items are available as mentioned in menu card. Need to improve in restaurent service. About a one hour's drive from the airport, the staff are eager to please and welcome you with a smile and nothing is too much trouble for them. The rooms are spacious and clean, having two types, and all rooms face the sea. The linen is crisp and clean and beds are comfortable. However there are little ants in the rooms, so be careful as they bite! The gardens are lovely and there is a clean swimming pool. Ask for a pool towel which they will give you. The ayurveda massage was given by two newly qualified laidies who worked in synch and were pretty good. The restaurant serves freshly prepared food or sometimes a buffet. It can be spicy hot so if you prefer a milder curry ask for less chillies. Be patient with the staff as they don't all speak fluent english. Remember you are in India! Location is good to stay as one side is having a lake and beach is very near by. staffs were very friendly , room is neat and clean. beach is very close like just to cross the road. worth for the money. This sea front hotel is neat and clean with a good courteous staff. The breakfast was sumptuous and delicious. The food is quite reasonable. However, the rooms could be better equipped. There should be at least two lounging chairs on the verandah of the rooms. A hair dryer should be provided since it's a beach resort and people are expected to swim. A clothes stand would also help. hat a place, just relax. There is a beautiful saying, "Love and energy reciprocates" so it was proven right. Great people to host you. It's been a great stay. Food was awesome too. It's almost 50kms from Calicut international airport. Just at sea. Rooms are big and cozy. Premium rooms are worth spending money but there is not any bad part about other rooms too. They were also fine. All the rooms are sea facing. Just sit in balcony and sip of tea. Welcome drinks were good too. They arrange few programs if u ask for it though we did not ask but there were pamphlates seen around. Local tea shops, villagers are very cozy. Just 30secs from coast line. Great place to morning walks. Saw dolphins too, it was a marvelous stay.